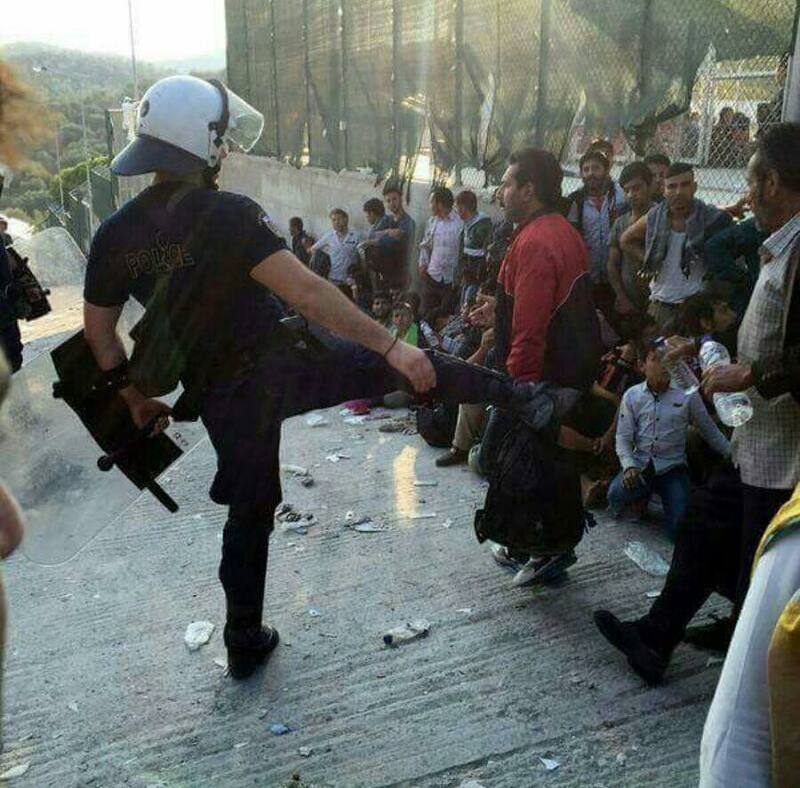 12th October 2015 – Police beatings, tear gas, hunger and chaos. It sounds more like the repression of the Arab Spring than UN staffed registration centre for refugees. 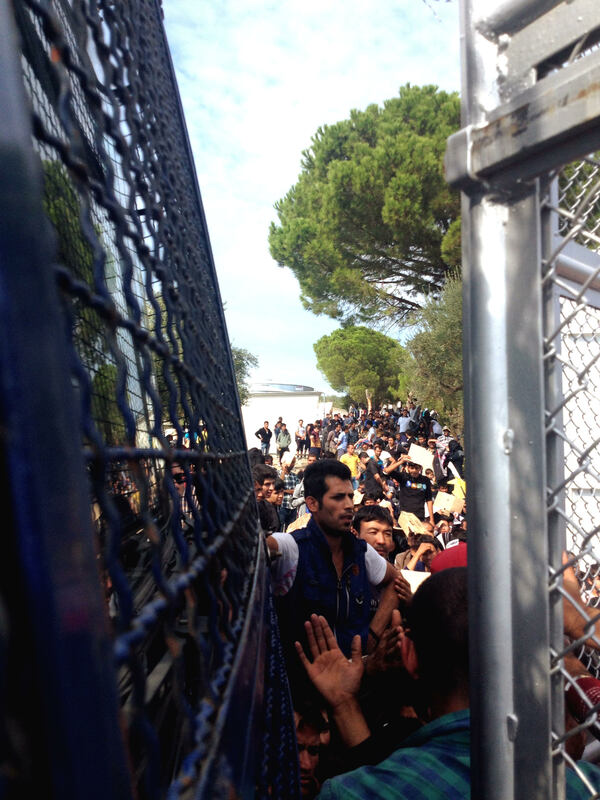 But at Camp Moria on the Greek island of Lesvos, this is the shameful reality. Lesvos has long been on the front line of Europe’s refugee crisis, with almost 200,000 arriving this year. 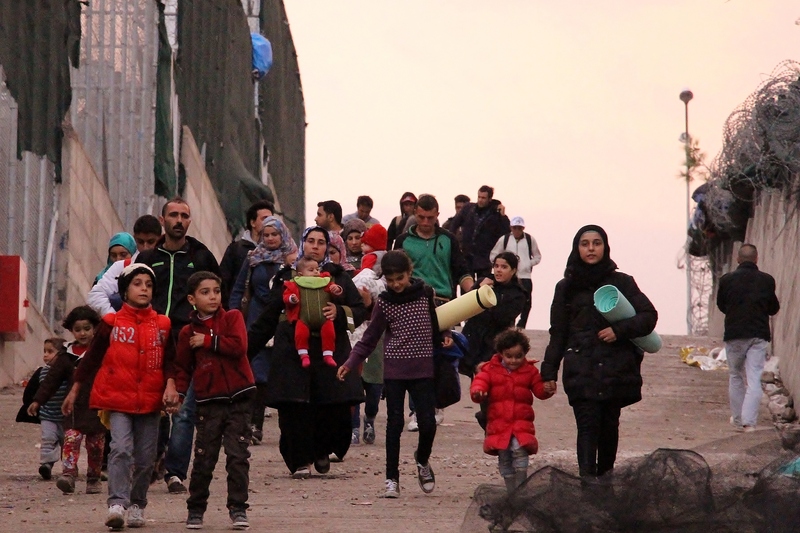 The vast majority are fleeing government persecution and ISIS forces in Syria, Afghanistan and Iraq. They come to Lesvos from Turkey on what they call ‘the death boats’, the lack of legal channels having created an unregulated market for people smuggling, with drowning common due to overcrowding. The lucky ones are met on the beach by local and international volunteers; the rest by paramilitary coastguards and riot police. Arriving on the island, I worked with volunteers from the PIKPA camp – the only truly humanitarian camp I’ve seen, run entirely by volunteers and donations – distributing food at Camp Karatepe. One staff member from the UN High Commission for Refugees (UNHCR) told me he had only 13 colleagues on the entire island. 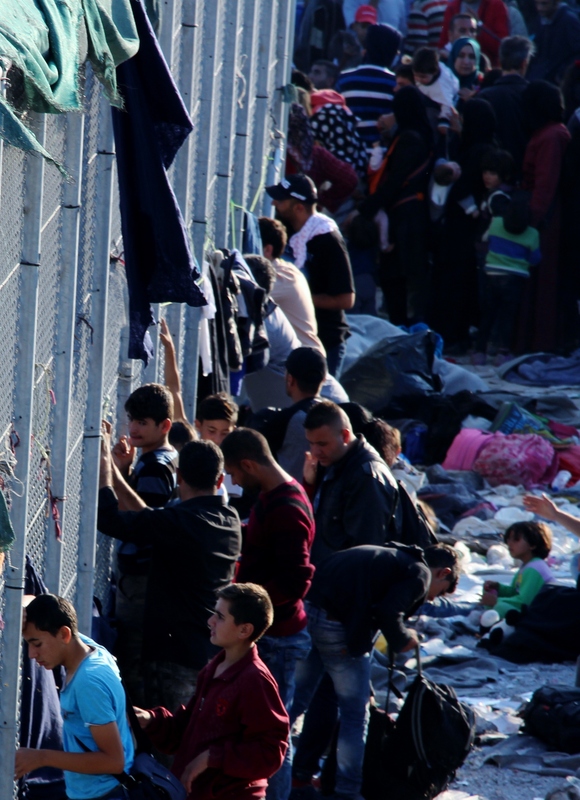 Syrian families huddled in scarce spots of shade and squalid conditions. Yet it did nothing to prepare me for what I saw at Camp Moria that night. 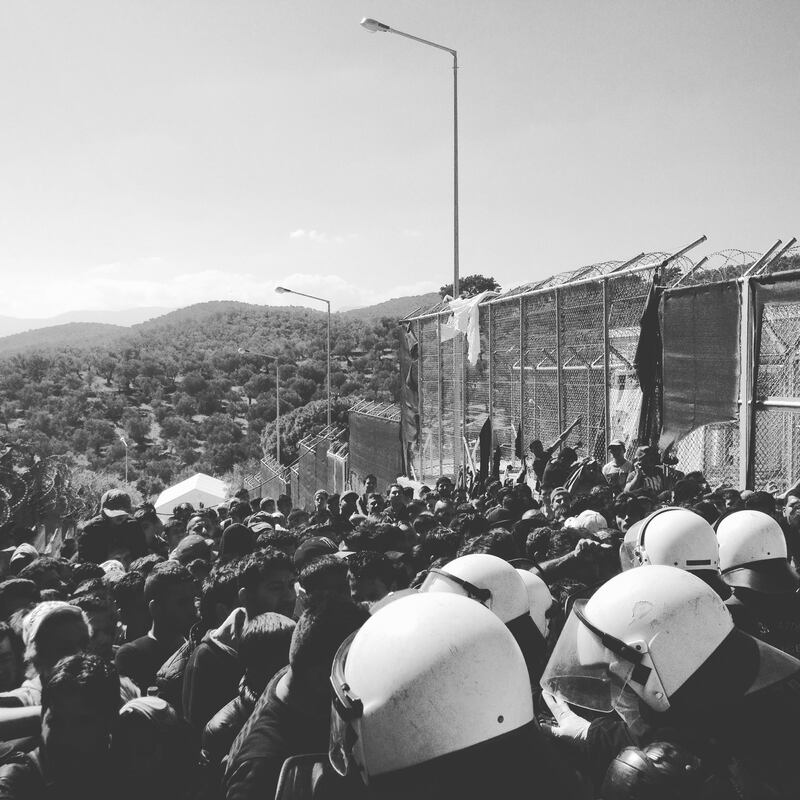 This entry was posted in Articles, Refugee Crisis and tagged crisis, greece, lesvos, migrant, refugee, Tsipras, UNHCR by Marienna Pope-Weidemann. Bookmark the permalink. PLEASE send this to the Greek Prime Minister, Alexis Tsipras, to show what his people are keeping from him.